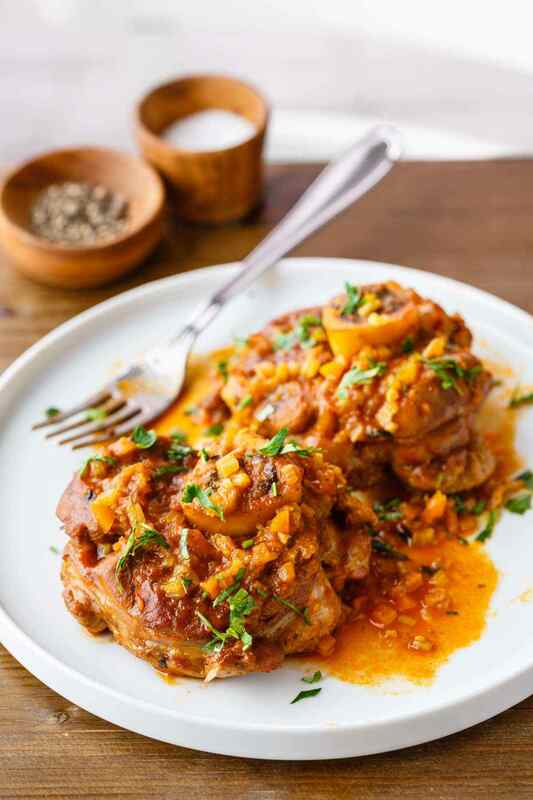 Osso buco is a relatively gourmet-style meal that is actually a whole lot simpler to prepare than you might initially think. 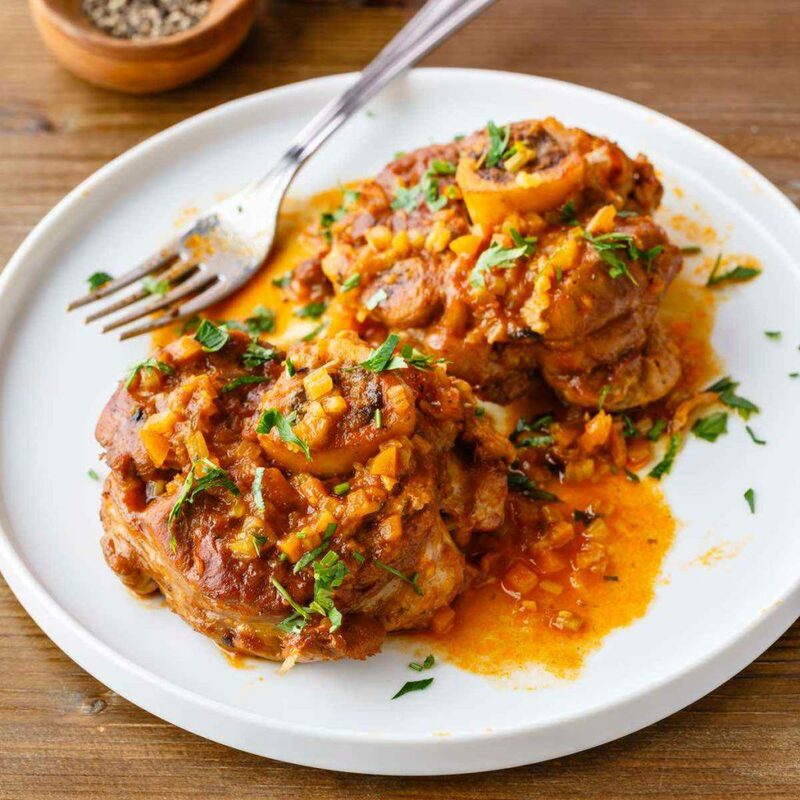 Originating in Milan, it takes a couple of hours to cook, but as far as making the actual osso buco, it’s nice and easy as this recipe will show you. 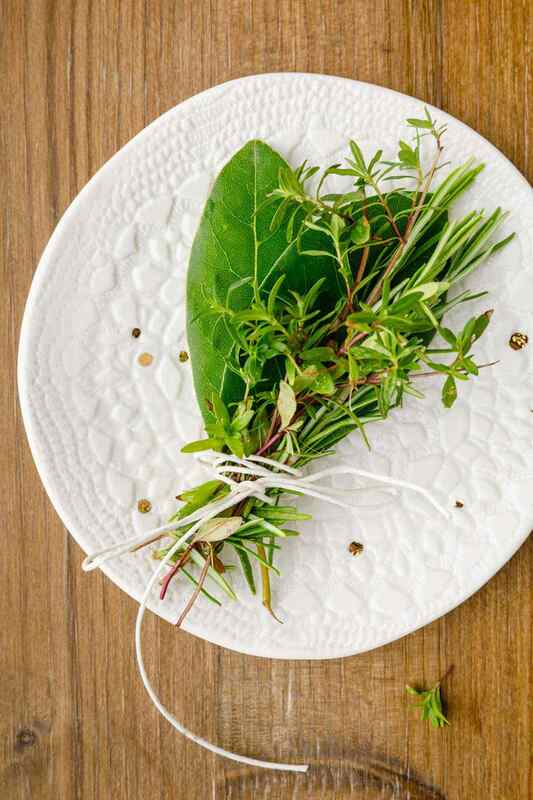 You’ll be making your own bouquet garni with rosemary, thyme, and a bay leaf. The rest of the recipe is classic osso buco, using the veal shanks cooked in a simmering sauce of olive oil, onion, garlic, carrots, celery, tomatoes, apple cider vinegar, and chicken broth. The end result is a mouthwateringly osso buco that’s high in protein and loaded with flavors. A Dutch oven is a heavy cooking pot that is used for braising. It’s usually made out of cast iron, but there are some that are made out of ceramic or aluminum. 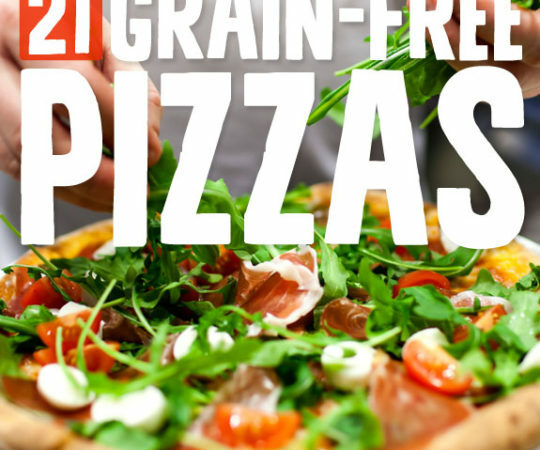 It takes a little longer to heat, but the results are well worth it, especially if you’re cooking for longer than an hour. The shanks are first browned for a few minutes each, and then eventually cooked for between 90 minutes and two hours. 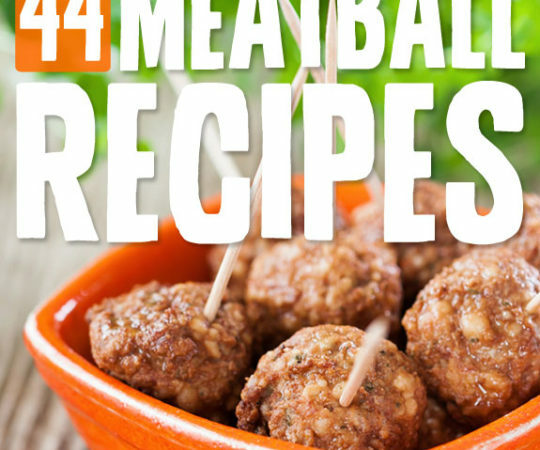 They are cooked for an extended length of time in order to absorb even more flavor from the onion, garlic, carrot, celery, and tomatoes. It ends up tasting like quite possibly the best stew you’ve ever had. 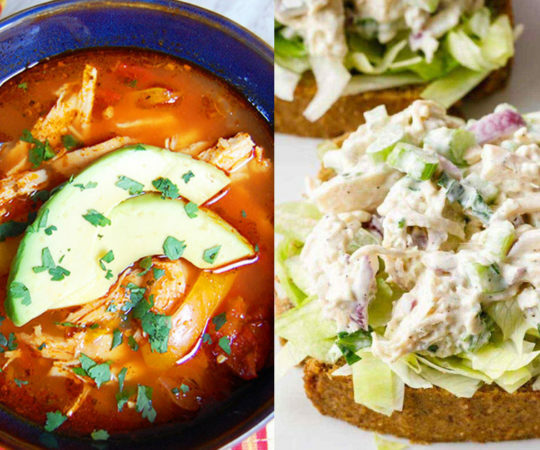 After mixing all of these ingredients together, the apple cider vinegar is added in along with water and chicken stock. 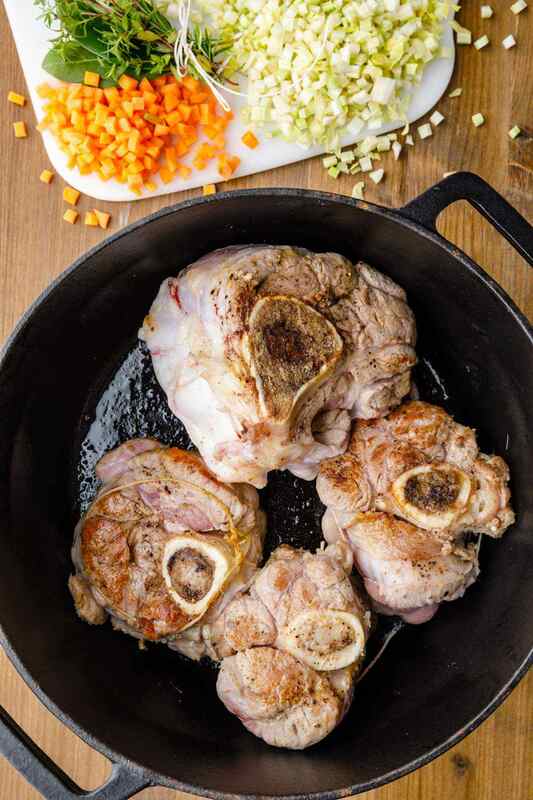 Apple cider vinegar makes a great replacement for wine in the osso buco, helping to keep it in line as a paleo-approved meal. 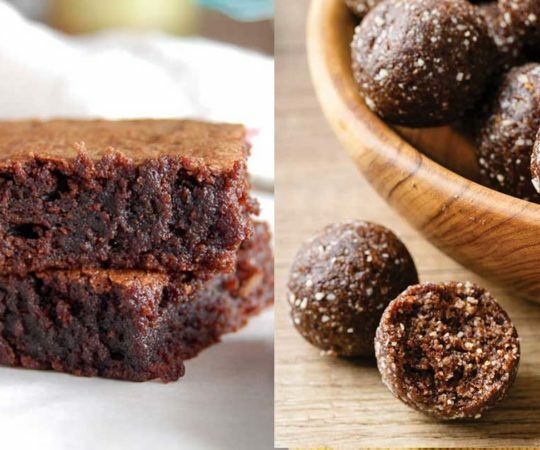 It adds just a touch of sour flavoring to the whole thing while providing plenty of nutritional benefits as well. Apple cider vinegar has been shown to help support weight loss, improve digestion, and lower blood sugar and cholesterol levels to help reduce your risk of heart attack and stroke. (2) Once the osso buco is finished cooking, just sprinkle with parsley and serve. 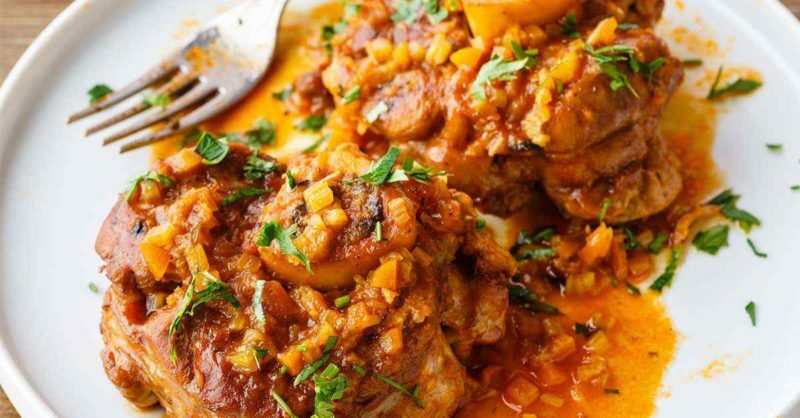 You won’t believe just how tender the veal shanks become after cooking them in this osso buco recipe. 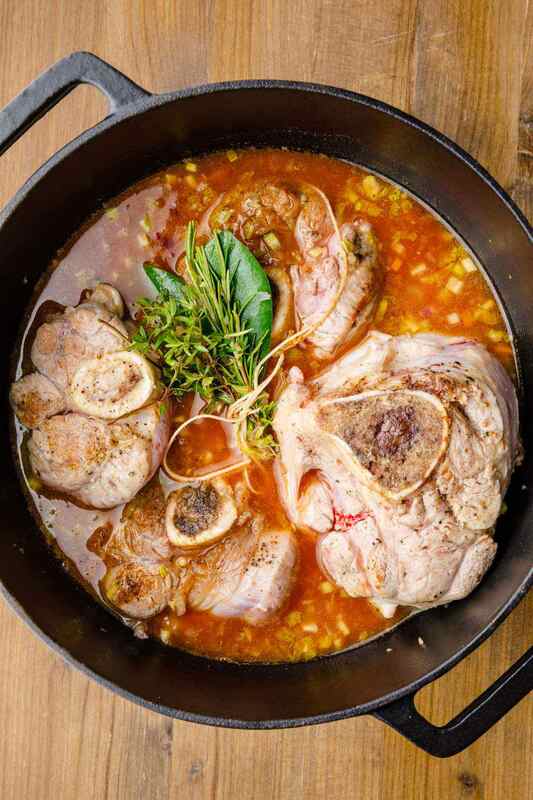 Not only are they mouthwateringly tender, but the flavors infused in them from cooking them with a delicious combination of chicken broth, vegetables, apple cider vinegar, and especially the bouquet garni all combine to make this one incredible gourmet paleo-approved meal. To make the bouquet garni, tie the rosemary, thyme and bay leaf with twine. Pat dry the veal shanks with paper towels to remove any excess moisture. 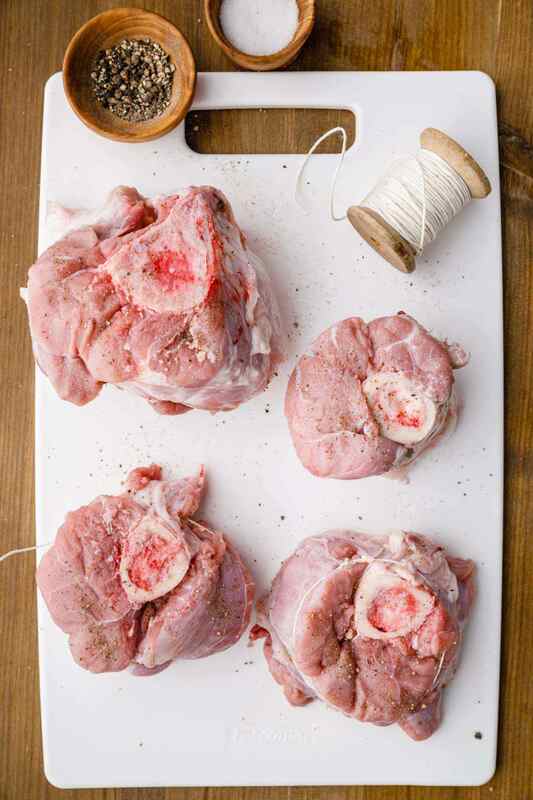 Secure the meat to the bone with the kitchen twine. Season each piece with salt and black pepper. In a large Dutch oven pot, heat olive oil over medium heat. Working in batches, add the shanks to the pot and brown all sides, about 3 minutes per side. Transfer browned shanks to a platter and set aside. In the same pot, add the onion, garlic, carrot and celery. Cook until soft and translucent, about 8 minutes. Add the diced tomatoes and mix well. Return browned shanks to the pot. Add the apple cider vinegar and water and cook for 5 minutes. Add the bouquet garni and 2 cups of the chicken stock and bring to a boil. 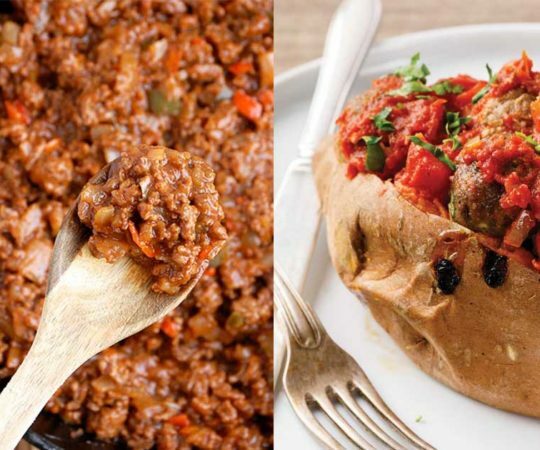 Cover with a lid and cook for 1 ½ -2 hours or until the meat is very tender and the sauce thickens.